Our Wilson 2-Ball Thank You Box features four corner die cut box for easy access of business cards and makes the perfect Custom Logo Products with company details. There is no better way to express your appreciation towards your valuable clients than gifting them the Wilson 2-Ball Thank You Box! 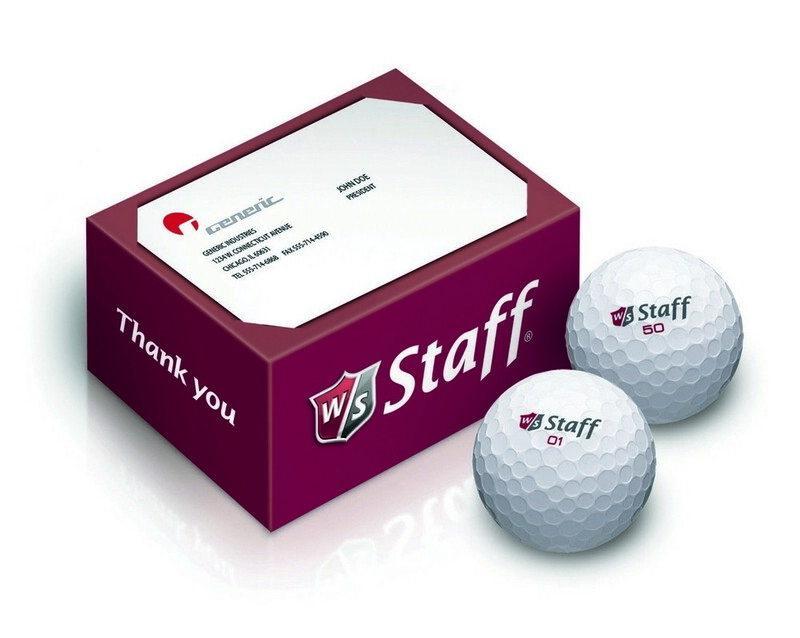 This thoughtful product features two branded logo Wilson Staff golf balls made using high quality ionomer. The thank you box comes with special four corner die cut design to facilitate easy access of business cards it stores. Book opening top allows viewing the included golf balls. An amazing way to hand over your business card to your customers or prospective client, this box allows imprinting your corporate logo and message for additional brand exposure.